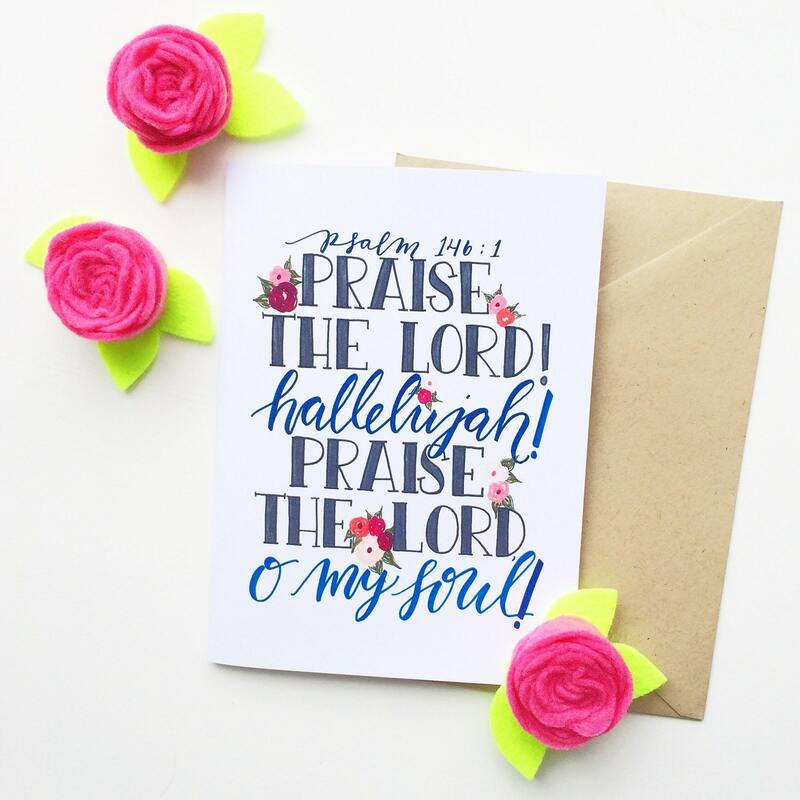 Easter is the greatest of all the Christian celebrations, and this card, featuring a verse from psalms, truly captures the celebratory spirit of Jesus' victory on the cross! 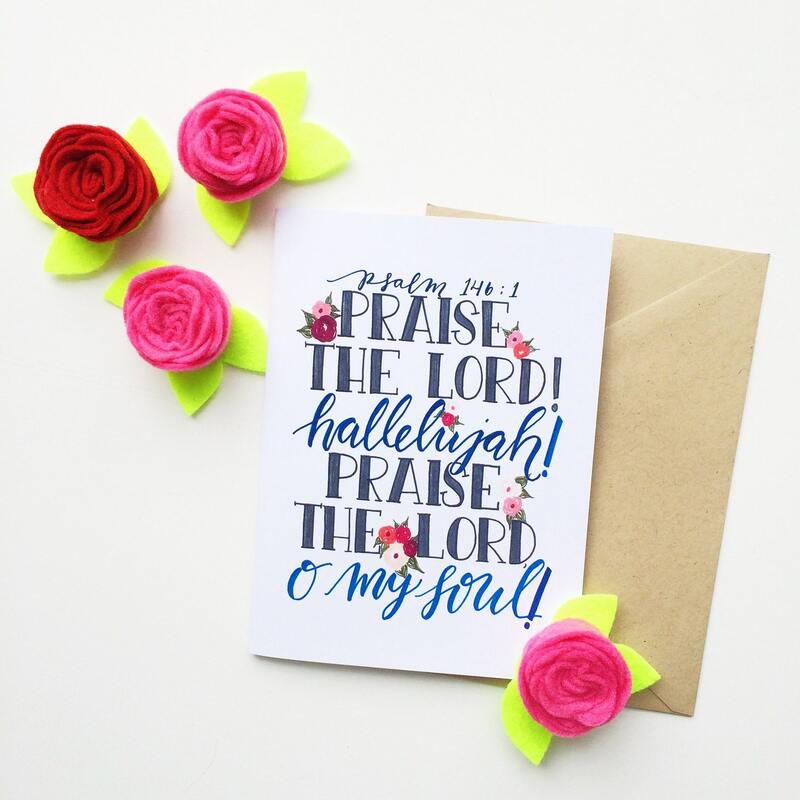 'Praise the Lord, hallelujah, praise the Lord, o my soul'! Professionally printed at my local print shop on heavy weight card stock. 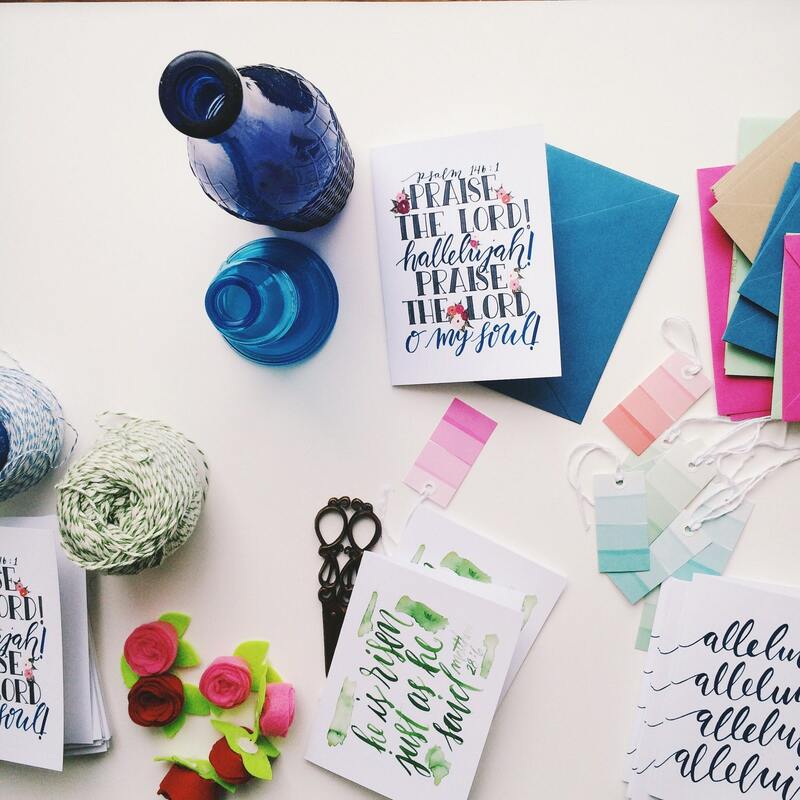 Includes luxe Kraft french point envelope and mini scripture card. A6 sized.